New Zealand will prohibit importation of all asbestos products and materials beginning Oct. 1, joining 57 other countries that already ban asbestos. Nick Smith, New Zealand environment minister, announced the latest prohibition last week. His statement marked progress toward a long-sought, worldwide ban on the toxic mineral. “It’s about bloody time,” Laurie Kazan-Allen, coordinator of the International Ban Asbestos Secretariat, told Asbestos.com. Kazan-Allen, who is based in the United Kingdom, is one of the world’s foremost authorities on the global asbestos watch. A growing number of nations are slowly working to ban or restrict asbestos, raising hopes for a future free from asbestos-related disease. Exposure to asbestos can cause a variety of serious health issues, including asbestosis, mesothelioma and lung cancer. The World Health Organization estimates 100,000 people die annually from asbestos-related conditions. Canada, once one of the world’s largest asbestos producers, has committed to banning the toxic fiber according to an announcement from Canadian Prime Minister Justin Trudeau last month. Congress this year passed a bill to amend the Toxic Substances Control Act, which will give the U.S. Environmental Protection Agency more power to restrict asbestos and push the country closer to a potential ban. President Barack Obama signed the bill into law on June 22, 2016. Kazan-Allen said last week that Colombia, Malaysia and the Philippines are moving toward more asbestos restrictions. Thailand, Vietnam and Indonesia — three nations notorious for asbestos consumption — have become more open to discussing the health issues and problems asbestos causes. Nepal instituted a ban on the import, sale, distribution and use of all asbestos in 2015. South Korea achieved a total ban in 2015. The number of countries using large amounts of asbestos has declined in recent years. There are now only 23 countries using more than 500 tons of asbestos annually according to the latest data on the global asbestos trade. The number of heavy users has dropped from 37 countries in 2012 and 33 countries in 2013. The government of Zimbabwe recently admitted efforts to revive its struggling asbestos mining industry had failed. Even Russia, the world’s most prolific asbestos producer today, has begun touting a “green housing development” outside Moscow that is free from any asbestos products. Although the Toxic Substances Control Act amendment encouraged Kazan-Allen, she believes a lack of leadership in the United States has hurt international efforts to ban asbestos. The U.S. has reduced its use of asbestos significantly in recent decades, but the toxic fiber remains legal to use in various products. The last asbestos mine in the U.S. closed in 2002. The country still imported 423 tons of asbestos products in 2014, according to the United States Geological Survey. “The fact that the United States has not banned asbestos in the face of so much knowledge, so many lawsuits and so much death is a scandal which shames political parties of every color, hue and inclination,” Kazan-Allen said. The New Zealand announcement comes only months after the country introduced new safety and health requirements to toughen laws designed to manage asbestos-related risks. 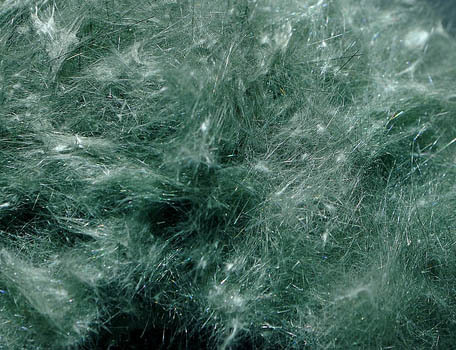 An estimated 170 people die annually in New Zealand from asbestos-related disease. It is the single biggest cause of work-related fatalities according to government reports. New Zealand first began regulating asbestos in 1978. It banned raw asbestos in 1984 but continued producing asbestos building materials until 1987. Most of the current asbestos use in New Zealand involves specialty products such as brake linings, gaskets and seals. Smith says the ban in New Zealand will include some exceptions. The New Zealand government has faced considerable scrutiny from its citizens over its inaction on banning asbestos. The number of fatalities related to asbestos is expected to continue for decades in New Zealand because of the long latency period (10-50 years) between asbestos exposure and the first signs of asbestos-related disease. Kazan-Allen, L. and Allen, D. (2015, January). Latest Global Asbestos Data. Morris, C. (2016, June 18). Asbestos toll will climb for decades. The New Zealand Herald.